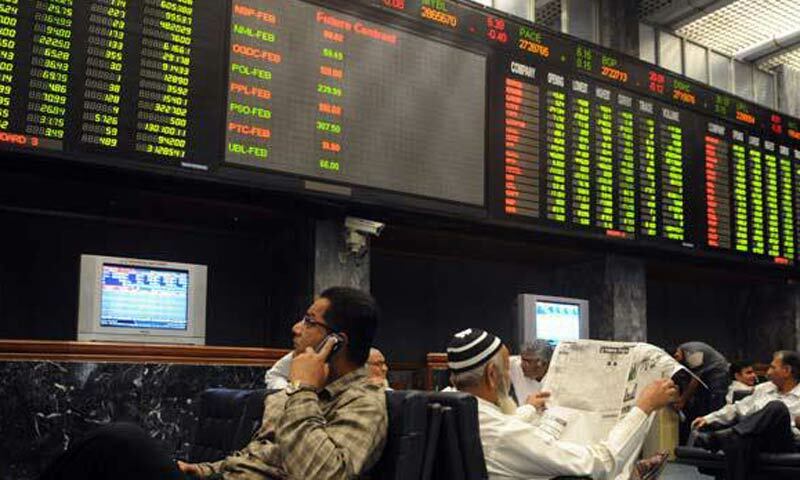 KARACHI: Bulls ruled the roost at the stock market on Wednesday, with the KSE-100 index up by 171.09 points to close at the new all-time high at 26,761.78. When the market opened after a day�s holiday, investors interest was at high ebb with the index making to the intra-day high of 26,876.68 points, up by 286 points. However, profit-taking at the fag-end of the session saw slight pull back. Trading volume jumped by 59 per cent to 307 million shares, compared with 193m shares that changed hands on the previous session. Trading value rose by 44pc to Rs10 billion, from Rs7bn, all of which signified intense activity in the low-priced stocks. Almost all 10-top scrips in terms of volume belonged to the second and third tier stocks. Half way through the first month of 2014, the index is yet to see a negative closing. The influx of punters and small shareholders in low-priced stocks is healthy for the market volume, but could the small investors be biting more than they can chew? The figures released by the National Clearing Company of Pakistan in the evening on Wednesday showed that foreign investors were net sellers of $0.36 million worth stocks on Wednesday. Buyers included banks, individuals and �others�, while mutual funds and companies took to profit booking. The oil and gas sector was in the limelight with nine out of 12 listed companies closing in green zone. POL, led the gainers, closing 2pc up. Dealers at Sherman Securities stated that news about release of $380m of Coalition Support Fund (CSF) by the end of Jan also brought excitement in the market. Investors pinned hopes on increase in OMCs margin in the upcoming ECC meeting next week. OGDC closed up 0.2pc, PSO closed up 0.4pc and PPL rose 0.4pc. Insurance sector outperformed the market on Wednesday, where most of the stocks closed at upper circuits. Profit taking was witnessed in the textile sector, while cements remained lacklustre for most part of the day.